also from continental philosophers, most notably Hegel. 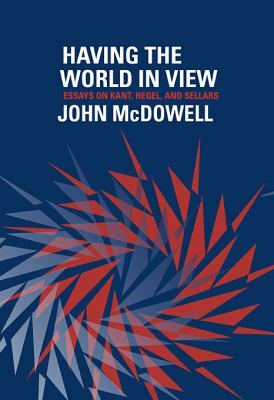 McDowell argues that the roots of some problems plaguing contemporary philosophy can be found in issues that were first discerned by Kant, and that the best way to get a handle on them is to follow those issues as they are reshaped in the writings of Hegel and Sellars. Having the World in View will be a decisive further step toward healing the divisions in contemporary philosophy, by showing how central methods of the two traditions remain deeply entangled and by revealing how philosophers in both camps might still learn from each other. John McDowell is University Professor of Philosophy at the University of Pittsburgh. Why Is Sellars's Essay Called "Empiricism and the Philosophy of Mind"?